1) With Summer around the corner most people shift their focus to losing fat. 2) Based on the emails that I get I see there is A LOT of confusion regarding the subject on how to get a flat stomach and abs. The bottom line is that getting your abs is a function of lowering your body fat levels enough in order to display these muscles. NO EXERCISE will burn the fat on top of your abs. Dieting combined with the proper exercise program is the one that takes care of that. With that said, in the next few days I will cover the five biggest fat loss lies. 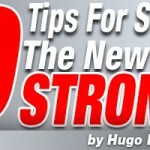 I co-wrote these articles with fitness experts Anthony Alayon, CFT and Cecile Bayeul, RN. The TRUTH: If you want to lose weight, you are told that in order to do so, you have to consume fewer calories than what your body burns on a given day. While this is true, simply reducing your caloric intake below what you burn on a given day will not guarantee you the results you are looking for! When we talk about losing weight, in reality we are talking about losing body fat and maybe some excess water weight (and this kind of weight goes away within a few days after you start a proper program). Examples of weight that we don’t want to lose are muscle and even bone weight. 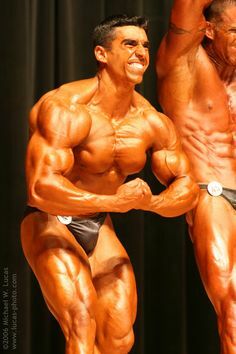 However, if you don’t know what you are doing, these last two tissues will actually account for a large portion of your weight loss, and thus, your results will be undesirable; your metabolism (ability to burn calories on a daily basis) will be crippled and you will have no muscle tone to make you look firm. The reason for this is because muscle is what gives shape to your body, and furthermore, it plays a huge role in the amount of calories that your body burns on any given day. Muscle is a metabolically active tissue and it requires calories in order to continue to exist. Therefore, if you lose muscle, not only do you lose body shape, but also your body’s metabolism (ability to burn calories) is dramatically reduced as well! Unfortunately, many of the fad diets today result in exactly what I just described. This is the reason why once people get frustrated with the program, and they abandon it, new fat weight gets added in a fast and furious manner. Cortisol is a stress hormone secreted by the adrenal glands during periods of physical and emotional stress. Cortisol is a hormone that when secreted in excess, preserves body fat, stores water weight and burns muscle tissue for energy. Dieting is a physical stress and if you do it in excess and incorrectly, you will increase cortisol levels dramatically and thus end up preserving body fat and losing muscle instead. This is yet another reason why you need to incorporate the right diet into your program. Going more than 3 hours without food is a sure fire way to increase your cortisol levels and also lower your blood sugar, which in turn will give you low energy, food cravings, less muscle tissue and reduced fat loss due to the cortisol increase. Therefore, it is imperative that you graze throughout the day and that you have a small meal every 3 hours in order to keep your metabolism going. Proteins: foods like eggs, chicken, turkey that give you the building blocks for your body tissues such as muscles, bones, hair, skin and nails. Fats: yes, you heard right, fats, as the right fats like extra virgin olive oil, flaxseed oil, and fish oils support hormonal production, thus aiding with health, energy production and even fat loss!. In order to lose just body fat, first we need to create a slight caloric deficit by adding some physical activity and also by controlling our food portions. 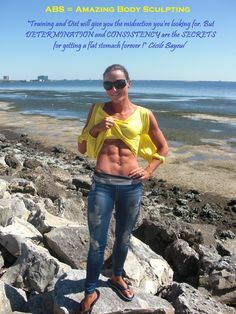 There is no need to starve, as if you do so, cortisol will rear its ugly head. Taking the right amount of macronutrients, in the right quantities and at the right times is crucial to achieving the best results! Why? Because when you combine the macronutrients properly, you stimulate the release of fat burning hormones that will not only help you to lose fat, but also give you more energy and protect muscle tissue from being burned as well as preventing cortisol from rising! In addition, these hormones will suppress your appetite and accelerate your metabolism so that your fat can become extinct in no time! A simple way to start managing your macronutrients is to make sure that you have an equal amount of carbs and proteins in each meal with a little bit of essential fats. You can use the size of your palm as a measure for the size of your protein serving while you can use your clenched fist as a measure of the amount of carbs to have in each meal. Add to each meal some vegetables and a teaspoon of essential fats and this alone will get you started on the path to incinerating the extra body fat! What is a balanced fat loss diet you may ask? One that consists of 5-6 small meals a day consisting of 40% carbs, 40% proteins and 20% fats. A normal man needs 2000 to 2500 calories a day. Thus, at 40% Carbs/40% Proteins/20% Fats he will need around 200-250 grams of carbs, 200-250 grams of protein and 45-55 grams of good fats per day divided over 5-6 meals. (Note: 1 gram of carbs = 4 calories, 1 gram of protein = 4 calories and 1 gram of fat = 9 calories). A normal woman with average activity who is weight training and looking for fat loss needs 1200 to 1500 calories per day. That comes out to 120-150 grams of carbs, 120-150 grams of protein and 26-33 grams of good fats per day divided over 5-6 meals. 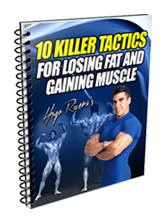 This will give you a great start on setting up a diet that will get you on your way to losing fat! Check out The University of Abs Here. 200-250 grams of protein seems like overkill and is much higher than the usual 1 gram per lb. 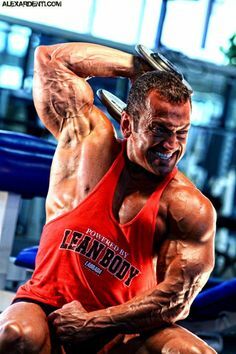 of lean bodyweight usually recommended by bodybuilders. Why does protein need to be ~ 40% of calories? What’s wrong with 25-30% and a higher percentage of healthy carbs? 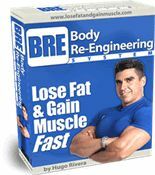 If you do 1 grams per pound of lean body mass, assuming that you have a LBM of 170 that comes out to 170 grams of protein. If you follow a 40/40/20 plan that puts you at 170 grams of carbs, 170 grams of proteins and around 40 grams of fats. As you can see, we are still adhering to the 1gram/lb of lean body weight and the 40% of protein is not overkill.